Servane and Joseph welcome you to their abode and invite you to enjoy their hospitality. They have restructured an area of their farm to make your stay even better! Traditional buildings have been converted to create a cottage, guest rooms, reception lounge and an outstanding indoor heated pool. 6 mobile homes and 6 plots alongside these facilities make it possible for you to camp close by. Children will soon be clamouring to say hello to the kangaroos, goats, llama, geese and the other local animals that live here at the animal enclosures and the horse-riding centre. The horses are ready to take you out for a ride, and they also take part in dressage displays of an evening. 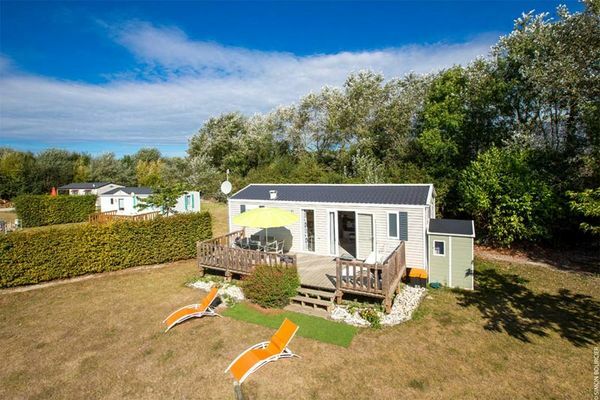 The shoreline, just 300m from this rural setting, is ideal for fishing or bathing, and is opposite Mont Saint-Michel. Enjoy sampling oysters at the port of Cancale and exploring the Saint-Malo fortifications, both just a few kilometres further away.